The media mogul may soon have Comcast competing for parts of his empire. Disney would probably have to hike its $52 bln offer for Fox assets. His partial exit suggests he sees a dimmer future for cable TV. Even as the target, he’s one step ahead in the M&A game. Media mogul Rupert Murdoch leaves his home in London, Britain March 4, 2016. 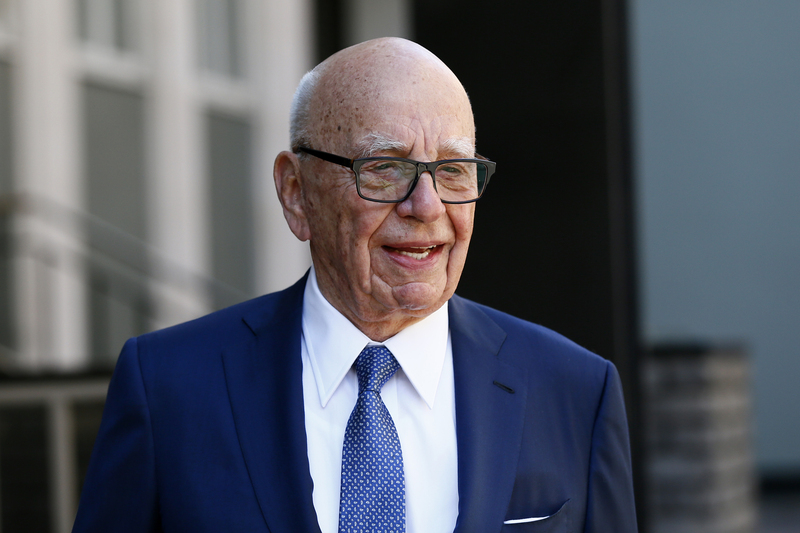 Twenty-First Century Fox on May 9 reported that revenue for the quarter ending March 31 fell 2 percent year-over-year to $7.4 billion. Net income attributable to Fox shareholders rose to $858 million, or 46 cents per share, compared with $799 million, or 43 cents per share, a year earlier. Comcast is seeking to raise as much as $60 billion in bridge-loan financing so it can make an all-cash offer for Fox’s entertainment, cable and international assets, Reuters reported on May 7 citing people familiar with the matter. In December, Walt Disney agreed to buy parts of Fox for $52.4 billion. Comcast is waiting to see the outcome of the Department of Justice trial involving AT&T’s acquisition of Time Warner, according to Reuters. Comcast on April 25 formalized its bid for European pay-TV group Sky for around $31 billion, valuing its target at 16 percent more than Fox’s offer for the 61 percent of Sky it doesn’t already own.